AVI has designed, installed and maintains automated broadcast systems within several parliaments in Australia - transforming how parliamentary business is recorded, archived, spliced and broadcast. Our work in parliaments is undertaken with a focus on heritage and design integrity. 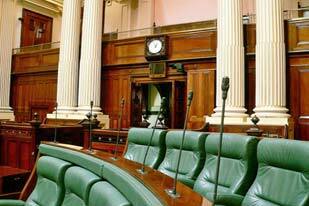 We develop and install audio and sound reinforcement systems for parliamentary chambers and committee rooms. 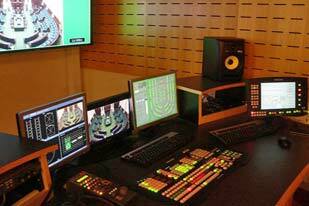 Our video and audio broadcast systems incorporate video pre/post-production capabilities and enable web streaming of post-production content and video conferencing. We develop and install digital audio recording and archiving systems for Hansard. Our expertise in real-time network infrastructure enables us to provide vital communications systems such as division bell distribution systems, emergency/public announcement (EWIS/PA) systems, assistive listening systems and networked television distribution (IPTV). Our experience in physical security systems allows us to design, manufacture and install access control and visitor pass systems, CCTV systems and digital signage and way-finding systems. AVI provides the full suite of professional services required to meet the exacting standards required to work in parliaments: design and development, project management, installation and manufacturing, preventative and breakdown/remedial maintenance and through-life support. We can provide training for your staff or provide trained operators to ensure the seamless operation of your systems.